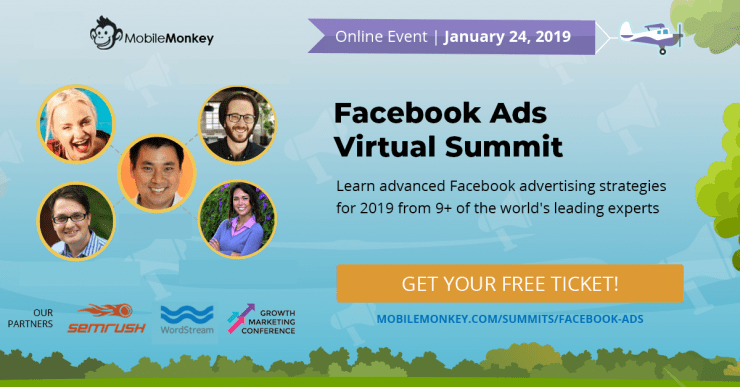 It’s the countdown to the Facebook Ads Virtual Summit! Get your free ticket for Jan. 24’s big event while the doors are still open! Check out the agenda and tell us which ones you’ve blocked out your calendar for. There are Facebook Ads Summit sessions dedicated to every issue you’re facing and more. The very best in the field are covering all of these Facebook ads issues in detail live on Jan. 24 and I couldn’t be more excited. But what’s a conference without free swag? 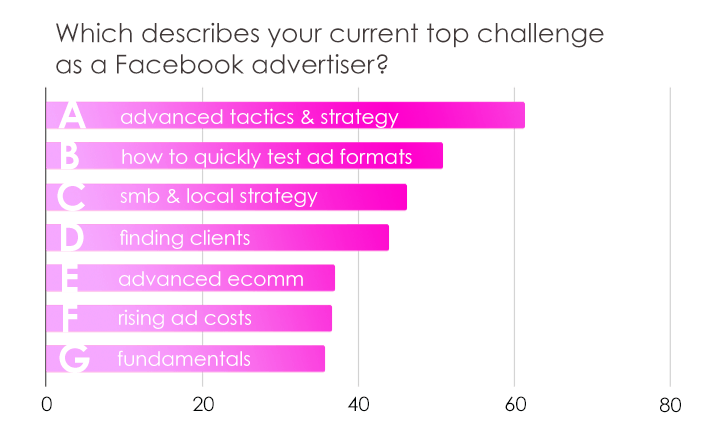 So I asked the summit speakers to share one actionable Facebook Ads tip that packs a punch. 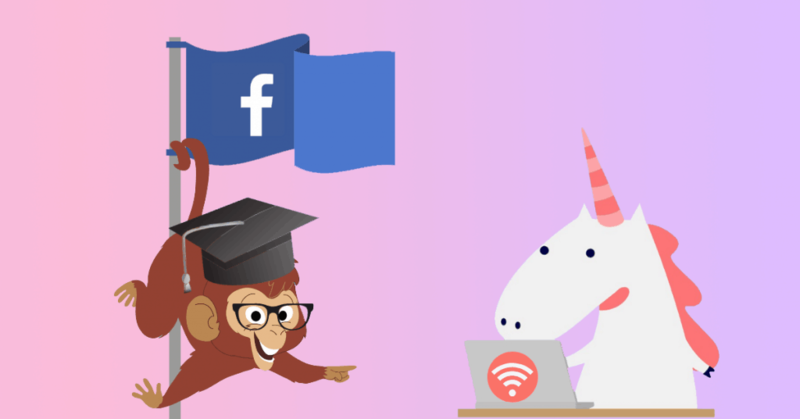 Here’s what 7 of the 10 speakers scheduled to drop knowledge bombs on Jan. 24 shared as their top tip for game-changing Facebook Ads in 2019. 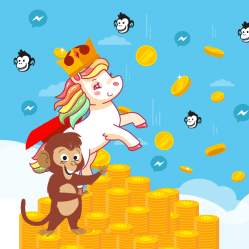 Turn your Facebook Page fans and email database into Facebook Messenger subscribers you can send mobile push notifications to using cheap Facebook Ads. 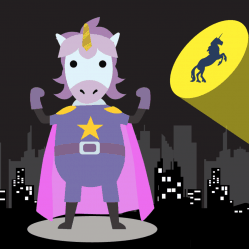 Facebook Page reach is a donkey, and so are email open rates. You can take these lists and connect with with customers and leads in the channel with 10x engagement. It just takes a couple of smooth moves using Facebook Ads custom audience targeting and message ads to convert your Facebook fans into Messenger contacts and your email list into a Messenger audience. We’ve run Facebook ads with the messages objective with a CPA 95% lower than traditional objectives like traffic, engagement or conversions. Pro Tip: While FB recommends starting ad sets with automatic placements, always keep a close eye on where the platform is actually feeding your budget into. As more and more advertisers jump on the bandwagon, real estate is getting tighter, as a result, if your funnel and ad aren’t performing well in the auction, Facebook will likely feed your spend to placements such Audience Network and Right Hand Column, which generally speaking don’t usually result in the best traffic for top of funnel activities. You can check where budgets are being fed in your reporting column. If you’re finding mobile or desktop is getting too expensive, try in-stream video placements (very few are using this so it has one of the lowest CPMs at the moment), and Instagram Stories. My #1 tip for FB ads is for advertisers to begin embracing long form copy. Marketers are always told (without any real evidence) that short copy is always better. But that’s a lie. Short copy is most certainly not always better. Long copy can be extraordinarily effective. The entire “short copy” movement is borne from a fundamental error in predicting how people will interact with ads. We tend to ignore most ads we see, so we assume that we should cram our message into as few characters as possible, since most people don’t want to read the ad anyway. But if we pay more attention to our own behavior, we actually give boatloads of attention to the very few things we actually care about. And we look for as much information as possible about those things. Think about the last time you made a serious purchase. Think of all the research you did, all the forums you read, all the friends you asked, all the websites you visited again and again …. Facebook offers advertisers a great advantage of Google Ads, and that’s the ability to write long form copy ads. Last thing … long copy isn’t a panacea for bad copy. Short, bad copy is better than long, bad copy! But write long, good copy, and you’ll have a serious competitive advantage. If you’re interested in learning about what good copy might look like, read Storybrand, and Everybody Writes. Also, read Scientific Advertising, just because it’s so damn good. Who you target for your Facebook ads depends in part on your stage of business. If you’re an experienced marketer with a strong email list of customers, your audience targeting priority should be building lookalike audiences from that list of your top customers. If you’re pretty new, and don’t have an email list of more than 100 customers, then your audience targeting priority is to build up your custom audience of website visitors through interesting content. To get better results with your Facebook Ads, split test different things such as keywords, images, ad placement (separate the placement into different Ad Sets so that you can fully test the placement) and text. You can also test video vs images to see which works better for your audience. Ask at least 5 questions on your lead forms when using Facebook lead ads. Asking a minimum 5 questions can help you ensure quality AND volume when running lead gen campaigns in Facebook. Otherwise you run the risk of paying for unqualified leads on a large scale. Hi, that’s me, Virginia. I’m throwing my top tip into the ring because it feels like I’m using a game-changing Facebook ad strategy that no one knows about it. Everyone’s talking about the rising cost of Facebook CPAs and CPMs. 122% increase in CPMs in a year is not insignificant. 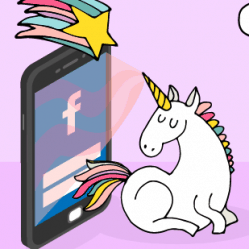 There’s a big opportunity where you get 100% conversion rate and CPA of $4 per lead: Facebook ads with the messages objective. Yes, it’s too good to be true, which means Facebook advertisers have to leverage the opportunity immediately. 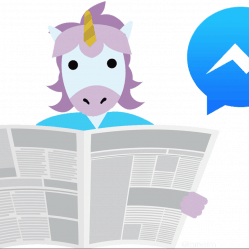 How it works is, people who click the CTA button of your Facebook ad are sent to Messenger where they become a contact you can message and send follow-up marketing messaging to. With good audience targeting, each new conversation costs $3-$5 right now. You know this won’t last forever so time is of the essence. Be sure to attend my session to learn all about how to hack Facebook ads with chatbots and build a highly engaged contact list for chat marketing using Facebook Messenger ads. I’m very excited to get into the actionable Facebook Ad strategies and tactics that will help me up my game in 2019. I hope you’ll join me and the 6,500 other attendees already signed up for the Facebook Ads Virtual Summit on Jan. 24! Check out the speakers, agenda and get your free ticket today! Enjoyed checking out the tips from the other speakers, Virginia—thanks for bringing these together. Looking forward to an excellent Summit soon! Bob, great to see you here! Thanks for your excellent reminder to remember, along with the user journey, your own business maturity as a framework for your Facebook ad funnel! Looking forward to hearing all your audience and targeting tips on Jan. 24! Great useful Facebook advertising tips. As we recently completed our website development, working with a leading web design agency in Sunshine Coast, We planned for Facebook advertising and Here I got a great understanding on Facebook ads. Thanks for sharing.